The neighborhood is rather quiet which is very nice. Plus it is extremely pet friendly. The office staff is always very cheery when you enter and willing to help. The vinyl is peeling up and there are gaps in the doors. The faucets have visible rust and the sinks drain really slowly. My price for rent went up but hey it's kinda cheep. The apartment is great for college students, the cost isn't very high while being large for the market. It doesn't have the amenities that some of the complexes have, but talking to my friends I believe they don't make use of those enough to make the price difference worth it. My biggest complaint is there is some wear and tear noticeable in some areas and the kitchen has no handles on the cabinets and drawers. It has been great so far ! I'm really liking the area and it's a great place for my girlfriend and myself to continue eduucation. We look forward to our living here. The place is still great and a really peaceful area to live in, very friendly staff as well as the maintenance guys. the apartment had problems with the washing machine but they were very helpful through replacing it with a new and even better one. I good place to stay even with your pets. Very peaceful and safe and had an great clubhouse where you can study or have fun with your friends. This community is very adequate. We have had a few issues with maintenance making things worse, and the quality of the apartments is occasionally subpar. But overall, I have pretty good interactions with employees and the apartment is spacious and cozy. We are so happy that you're pleased with our community. Our priority is to provide excellent customer service, so thank you for taking the time to share your experience with our future residents. If you need anything, please don't hesitate to contact our management office. My experience living here is great, but the way the bills work is different then I was told at move in! Other then that very nice place super big and comfortable! Apartments have mostly everything you could want. Rent is fairly cheap, especially with roommates. Maintanence can be a little slow, especially when they start getting backed up. What’s better than a satisfied resident? A satisfied resident who writes a review! Seriously, this review made our day! Thank you so much for sharing your positive feelings about your home. If you need us, please reach out! We enjoy having you here. We have been actively working on making improvements for our residents and are happy to see that they're being noticed. We appreciate you taking the time to give us positive feedback and we look forward to many more good experiences. Overall a good place to live. There’s fewer amenities compared to other apartments in Columbia, but the rooms are nice and most problems get fixed in a timely manner. 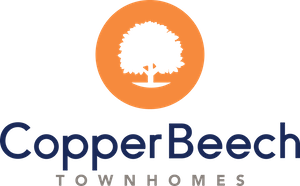 I've lived in my Copper Beech town home for 6 months now, and I've really enjoyed it. I live in the back, and it is a quiet and safe community. I was originally assigned a small, unexpected one bedroom town home back in August, but the front desk staff was extremely gracious and reassigned me to a much more spacious and satisfying living arrangement at the back of the property. There have been small instances of miscommunication with the Copper Beech Staff, but overall they have been very friendly and have shown that they care. My only real complaint is that my town home itself needs some updates and needs a better smell. However, it suits me well, and I am overall pleased with my Copper Beech town home residence. Thank you Kristen for you review. We love hearing from our residents and having you as part of our community. If you have any issues or concerns, please stop by the office at any time! It's been amazing so far. Very Impressed !!! Looking forward to this lease term. Everything is amazing for the pricing available. Look forward to the amenities. Just renewed for my third year, so I like it a lot. Everyone at the office is nice and respons to concerns quickly. The price is super low as well. Carmen, We are so sorry you aren't having a good experience staying with us. We will be reaching out to you to address all of the problems and issues you are having. Lots of space which is what I want. But it takes a while for management to let us know if the shuttle is down so people are left standing outside in -7 degree weather waiting for a shuttle that won’t show up. Thank you Gerrod! We are so glad to have you as a CB resident. If you have any questions or concerns, please reach out to our office or stop by at any time! Awesome Rachelle! Thank you for your review. We are so glad to have you as a CB resident. If you have any questions or concerns, please contact of office@ 573-256-5700. Copper Beech is a great place to live. It is in a great location and the shuttle to campus is very convenient. Maintenance requests usually get answered fairly quickly. Thank you Ashleigh! We are so glad to have you as a CB resident. If you have any questions or concerns, please feel free to stop by the leasing office at any time! Overall the Staff has been pleasant and responsive, but there are a few things that are over looked. I was not please how the parking lots were not clean with the snow. Thank you Camilla for you review and concerns. In the future our new snow removal crew has better locations for snow removal now. Any questions or concerns, please contact our office@573-256-5700. Everyone of the staff I have encountered has been so amazing and the space is incredible. Anytime I have had an issue the staff has resolved it quickly! I’m definitkey renewing.